Just one day before its members launched a coup attempt across Turkey in 2016, a court in the capital Ankara had approved legal proceedings against the Gülenist Terror Group (FETÖ). The first hearing in this trial of 71 defendants, mostly senior figures in the group, was held yesterday in Ankara. 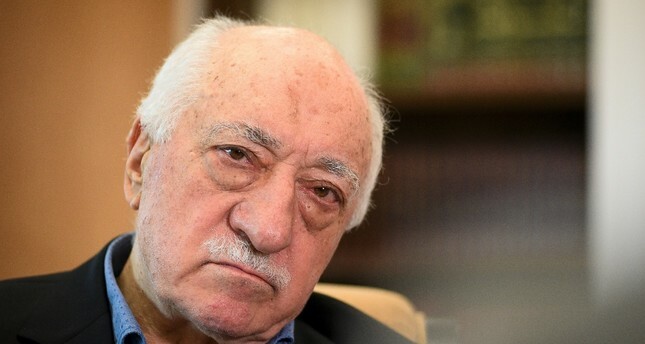 FETÖ's leader Fetullah Gülen, Adil Öksüz, a leading FETÖ figure blamed for plotting the July 15, 2016 coup attempt and other prominent names including business tycoon Akın İpek are among the defendants. Although the defendants are already being tried in a number of other trials against FETÖ, yesterday's hearing is part of a main trial against the group that terrorized its critics and built a network of infiltrators in the army, judiciary and law enforcement over the years. Along with lawyers for the government, the brother of Ali Tatar, a military officer who committed suicide after being found guilty in a sham trial blamed on FETÖ's judiciary and police infiltrators, attended the first hearing. The trial is expected to continue for a long time as most defendants remain at large. Several defendants, meanwhile, were already sentenced in other FETÖ-related trials. In the first hearing, the court rejected requests by the defendants' lawyers to lift sanctions on the assets of defendants that were seized as part of legal proceedings. The hearing was adjourned to an unspecified date. Defendants face a wide variety of charges; an indictment against them says they planned to overthrow the government, take over state institutions and replace constitutional order with "a totalitarian oligarchy." The most prominent name in the case is Fetullah Gülen. Already a prime suspect in dozens of trials on the 2016 coup attempt and other FETÖ-related cases, Gülen will likely die in prison if convicted, due to a string of life sentences prosecutors want for him. The 77-year-old Gülen, who patiently built his network of Gülenists for decades and planted them into the army, law enforcement, judiciary and bureaucracy, left Turkey in 1999 while his movement, known as "Hizmet" then, was still being recognized as a charity with religious undertones. Since then, he has lived in the United States, where occasionally gives interviews from his sprawling compound in Pennsylvania. Turkey has repeatedly asked for his extradition from the United States but Washington has apparently dragged the process, refusing to recognize FETÖ as a terrorist group. Several defendants in the case stay with Gülen in his compound and according to prosecutors, are senior cadre of FETÖ. Most were in the United States for years while others fled there shortly before the 2016 coup attempt and some fled after the coup attempt that paved the way for a wider crackdown on the terrorist group. Adil Öksüz, one of the most significant names in the case, is also a key figure in the coup-related trials. Unlike Gülen, the whereabouts of Öksüz are not known, but he is believed to be in hiding in Europe. Referred to as the "black box" of FETÖ by the media, Öksüz, originally a theology professor, acted as the terrorist group's point man for its infiltrators in the military. Eyewitness accounts and investigations show he gathered top military officers involved in the coup attempt in a villa in Ankara days before the coup attempt and together they planned how to execute the coup plot. "Our elder sends his greetings," he told those present at the villa, one of the officers who attended the meetings, would later tell a court, in reference to Fetullah Gülen. Öksüz was among several civilians captured in Akıncı and has claimed he was "checking out a plot of land" he planned to buy near the base. He was released hours later by the court that was presided by a judge - who was later tried on charges of helping Öksüz - and was last seen in Sakarya, the northwestern province he worked in. A nationwide manhunt was launched to capture him but a police chief in charge of the manhunt, later detained for links to FETÖ, was accused of ignoring tip-offs for the capture of Öksüz. Media reports say he fled to Germany and was aided by fellow Gülenists giving him accommodation there. Akın İpek, who used to head a family-owned conglomerate in Turkey, is among the key financiers of the terrorist group. İpek is currently in the United Kingdom where a trial for his extradition to Turkey is in process. He is currently sought by Turkish authorities for "managing a terror group, financing terrorism, embezzlement and spreading propaganda for a terror group." İpek left Turkey prior to the seizure of his Koza Holding by court order in October 2015. He lost lawsuits he filed in U.K. courts for the return of his assets seized by Turkey. İpek's brother, Cafer İpek, and mother, Melek İpek, are among the 45 defendants currently on trial in Turkey for FETÖ links with his business conglomerate. Also on trial is Şerif Ali Tekalan, who was president of a university linked to FETÖ in the past. Tekalan currently serves as head of a FETÖ-linked school in the United States. Hidayet Karaca, another defendant in the case, was the chairman of a broadcasting group run by Gülenists and was sentenced to life imprisonment in another FETÖ case. Most of the other defendants in the case are described as "imams," handlers for the terrorist group's infiltrators, such as Osman Hilmi Özdil, who was allegedly chief handler for FETÖ infiltrators in law enforcement.